Hopefully last night's session will mark the start of a good stint for me... I did intervals as follows: one mile easy, one mile hard, break, one mile hard, break, 0.5 miles hard, and finally one mile easy. Nearly killed me but I felt great afterwards. 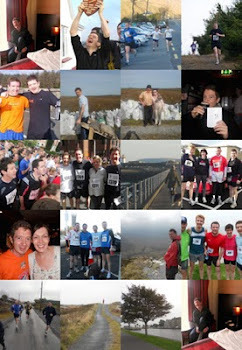 I'm gearing up now to do the Nicola Barry 10k in Stabannon on October 3rd... I've lost a lot of training so the mind is now focussed to try to better my PB for that race.